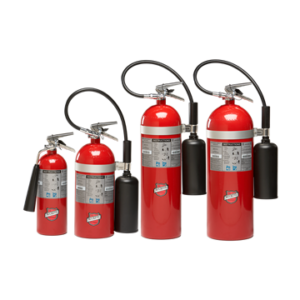 Sentry Carbon Dioxide Extinguishers - SOS Safety International Inc.
SENTRY carbon dioxide extinguishers provide the power to respond quickly and effectively by design to protect against Class B (flammable liquids and gases) and Class C (energized electrical equipment) fires. Every year, a variety of incidents leads to fires that costs businesses their critical assets. SENTRY carbon dioxide extinguishers provide the power to respond quickly and effectively by design to protect against Class B (flammable liquids and gases) and Class C (energized electrical equipment) fires. These extinguishers are well suited for indoor use in furnace rooms, printing presses, pump rooms, electrical power panels, and laboratories where winds and drafts do not affect discharge. 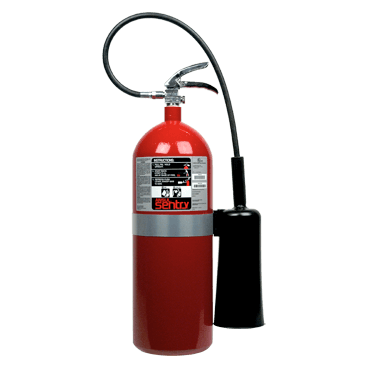 SENTRY CO2 extinguishers are available in one-piece, powder-coated steel or lightweight aluminum shells and in capacities ranging from 5 lb (2.27 kg) to 20 lb (9.07 kg). 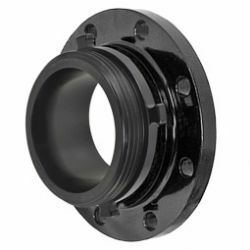 The steel shell’s fluted base design resists corrosion for a longer service life. These extinguishers may be used indoors where winds and drafts do not affect discharge or where a clean extinguishing agent is required. 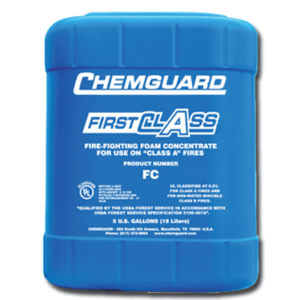 The non-corrosive, non-conductive, clean extinguishing agent leaves no residue to clean up. Caution is advised in small, enclosed spaces as CO2 is a clear gas which cools and displaces oxygen. 5, 10, and 15 lb (2.27, 4.54, and 6.80 kb) models with heavy duty vehicle brackets are U.S. Coast Guard approved for marine use. Most other manufacturers’ brackets do not meet Coast Guard requirements.